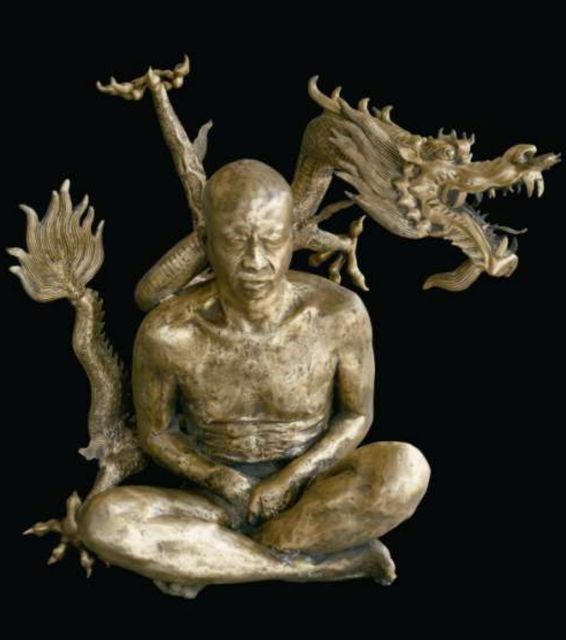 Zhang Dali was born in Harbin, China in 1963. He graduated from the painting department at the Central Academy of Fine Arts in Beijing with a BA in 1987. 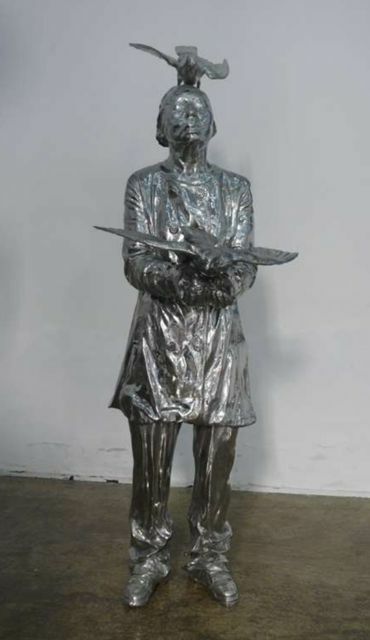 An influential figure in socio-political artistic movements in China, Zhang Dali has, for decades, challenged the conventional with his social documentation in graffiti, sculpture, photography, and painting. Zhang was exiled after graduating from the Central Academy of Fine Arts and spent six years immersing himself in Western art and art history in Italy. 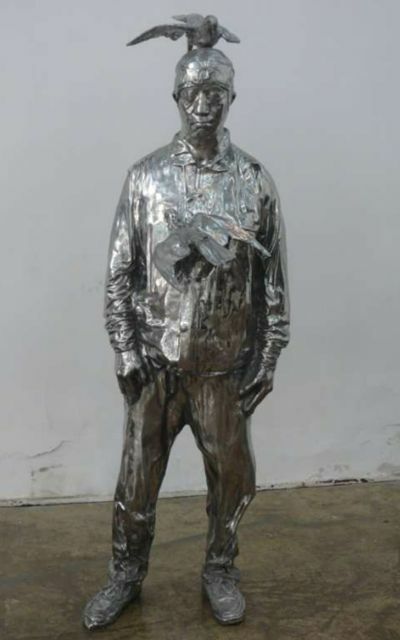 Upon his return to Beijing, he developed a keen interest in portraiture (usually of himself), documentary and public urban art, often interrupting spaces with confrontational political statements. 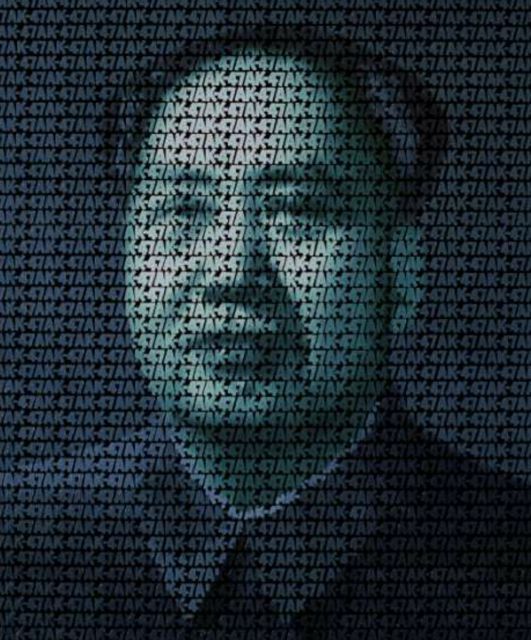 The photograph series ‘A Second History’ consists of propaganda and found images under the rule of Mao, which have been doctored or altered to the Chairman’s artistic ‘vision’ of politics and appropriation. 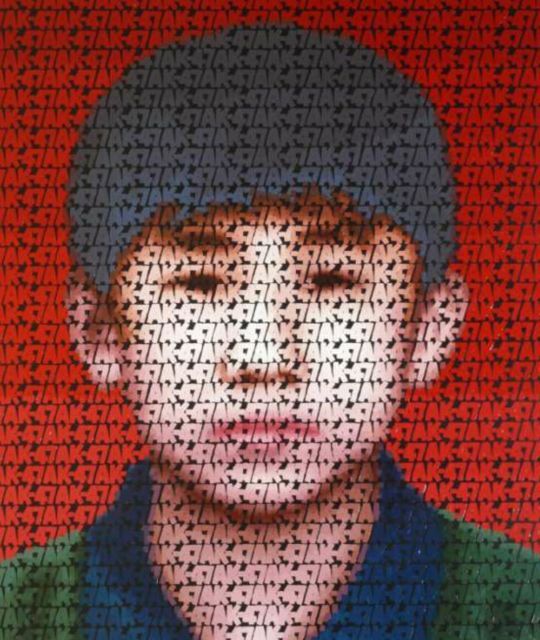 He is critically recognized as one of China’s first graffiti and street artists. 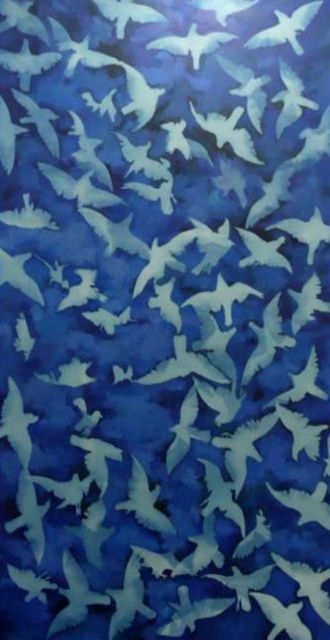 Zhang’s work has been exhibited extensively across the globe. 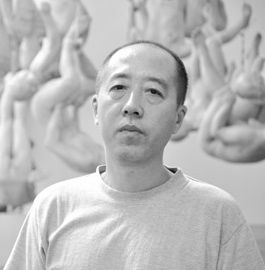 His solo shows include Body and Soul, Musem Beelden ann Zee, Den Hague, Netherlands (2017); Permanence and Impermanence- New Works by Zhang Dali, Beijing Minsheng Art Museum, China (2016); A Second History, Museo de Arte Contemporáneo de Buenos Aires, Buenos Aires, Argentina (2015); World’s Shadow, Kunstverein Ludwigsburg, Ludwigsburg, Germany (2015); From Reality to Extreme Reality: The Road of Zhang Dali, United Museum, Beijing, China (2015); Square, Klein Sun Gallery (2014); Second History, Luxun Academy of Fine Arts Museum, Shenyang, China (2013); Il Sogno Proibito della Nuova Cina, Palazzo Inghilterra, Turin, Italy (2009); Slogan, Kiang Gallery, Atlanta, GA (2008); Chinese Offspring, Chinese Contemporary Gallery, New York, NY (2007); New Works by Zhang Dali, Chinese Contemporary Gallery, London, UK (2005). Zhang’s group shows include Working on History. Contemporary Chinese Photography and the Cultural Revolution, Satliche Museen zu Berlin, Berlin, Germany (Forthcoming 2017); All Matterings of Mind: Transcendent Imagery from the Contemporary Collection, Nasher Museum of Art at Duke University, Durham, NC (2017); Street Generation(s) 40 years of urban art, La Condition Publique, Roubaix, France (2017); Portrait Hot: Taikang Photography Collection, Taikang Space, Beijing, China (2017); Chinaescape: From Rural to Urban, Spazioborgogno, Milan, Italy (2016); Art From the Streets, CAFA Art Museum, Beijing, China (2016); The Shadow Never Lies, Shanghai 21st Century Minsheng Art Museum, Shanghai, China (2016); Utopias and Heteropias – The First Wuzhen International Contemporary Art Exhibition, North Silk Factory and West Scenic Zone, Wuzhen, China (2016); Audacious: Contemporary Artists Speak Out, Denver Art Museum, Denver, CO (2016); Agitprop!,The Brooklyn Museum, Brooklyn, NY (2015-2016); DECONSTRUCTING CHINA: Selections from the Asia Society Museum Collection, Asia Society Museum, New York, NY (2015); Faking it: Manipulating Photography Before Photoshop, The Metropolitan Museum of Art, New York, NY (2012); New Photography 2011, The Museum of Modern Art, New York NY (2011); Speech Matters, The 54th Venice Biennale, Venice, Italy (2011); The Original Copy: Photography of a Sculpture, 1839 to Today, The Museum of Modern Art, New York, NY (2010); Great Performance, Pace Beijing, Beijing, China (2010); The Revolution Continues: New Art from China, Saatchi Museum, London, UK (2008); Logan Collection, San Francisco Museum of Modern Art, San Francisco, CA (2008); Between Past and Future: New Photography and Video from China, International Center of Photography, New York, NY, Asia Society New York, NY, Museum of Contemporary Art, Chicago, IL, Victoria & Albert Museum, London, UK (2004); and Beijing in London, ICA, London, UK (1999).